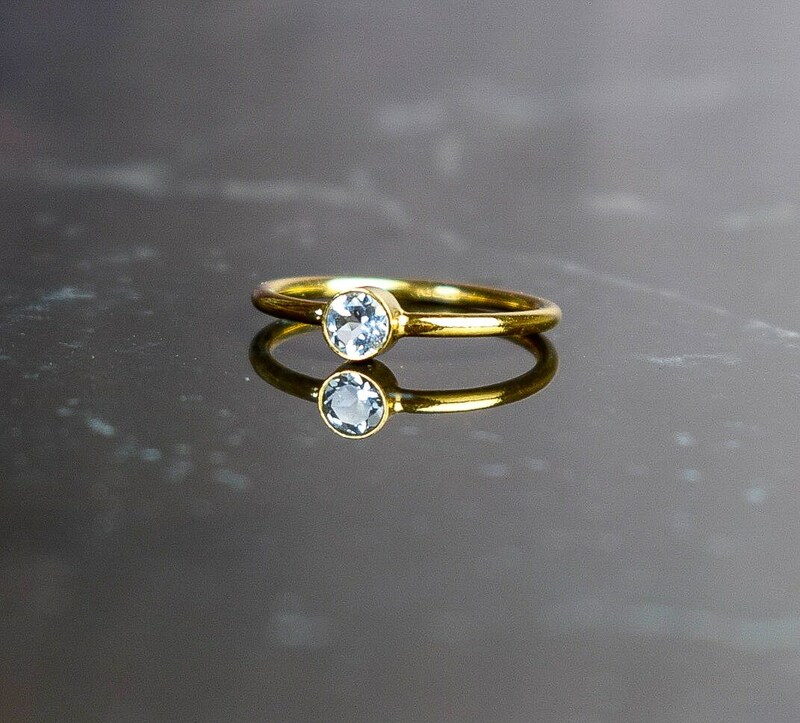 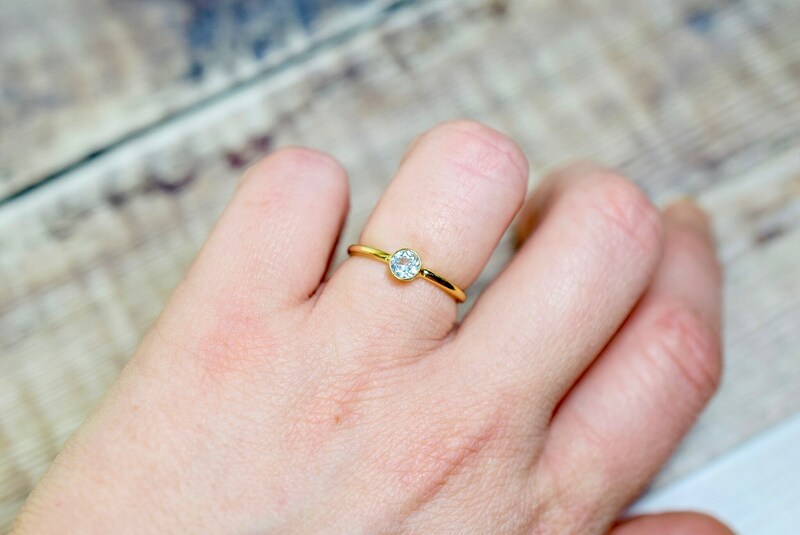 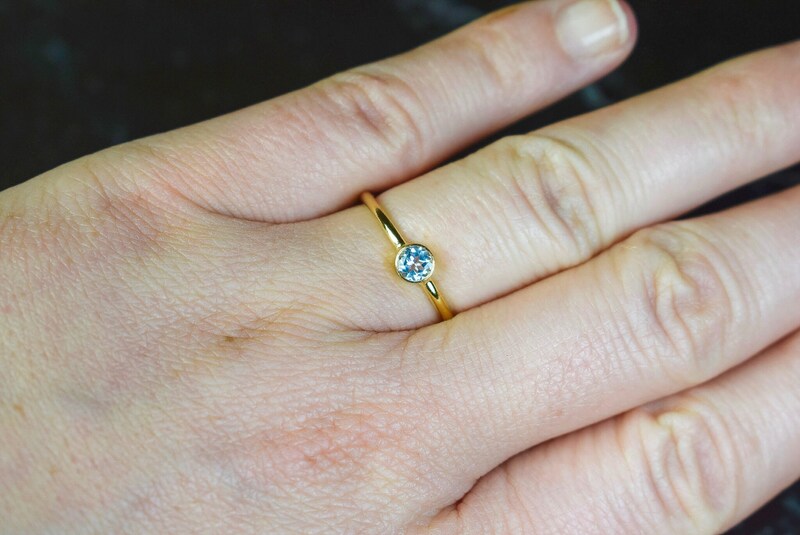 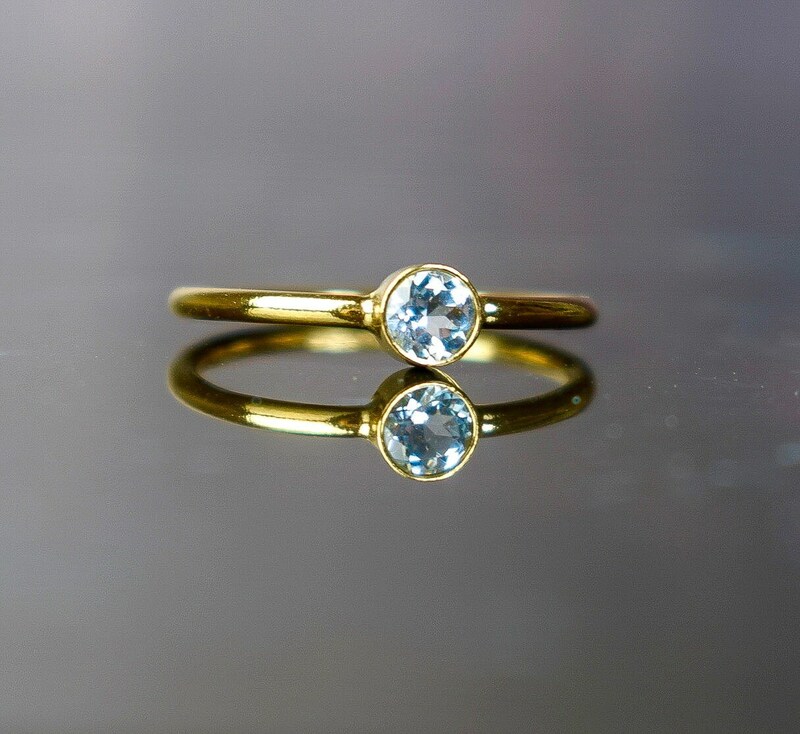 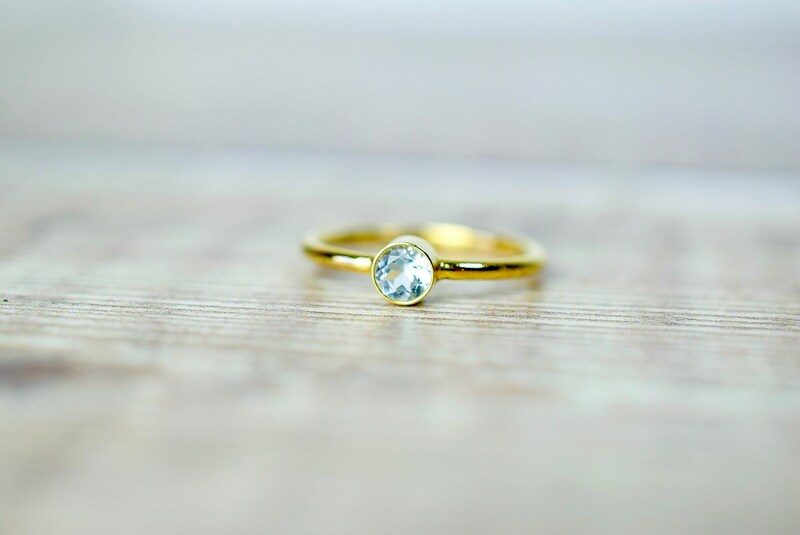 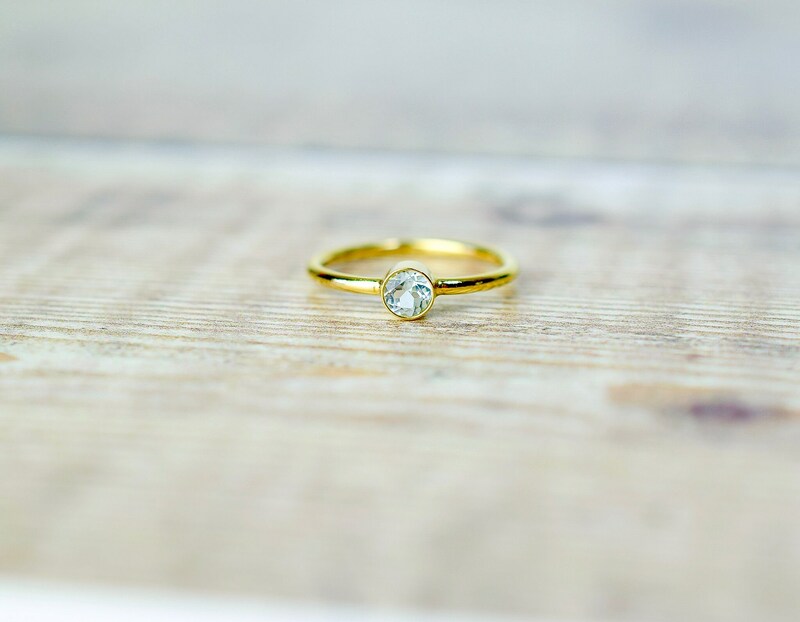 This beautiful gemstone ring is made from 14k gold fill and is set with a sparkly Sky Blue Topaz stone that measures 4mm. 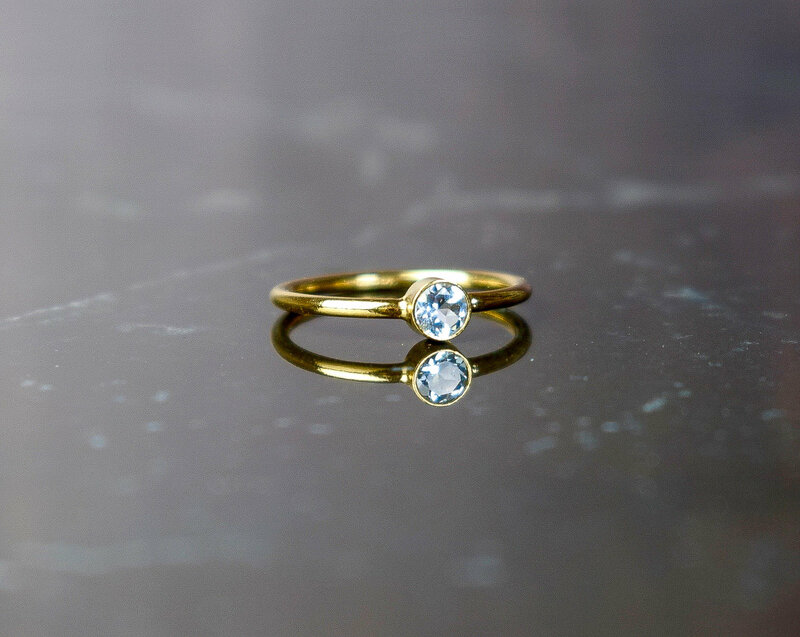 Sky Blue is the lightest shade of blue Topaz. 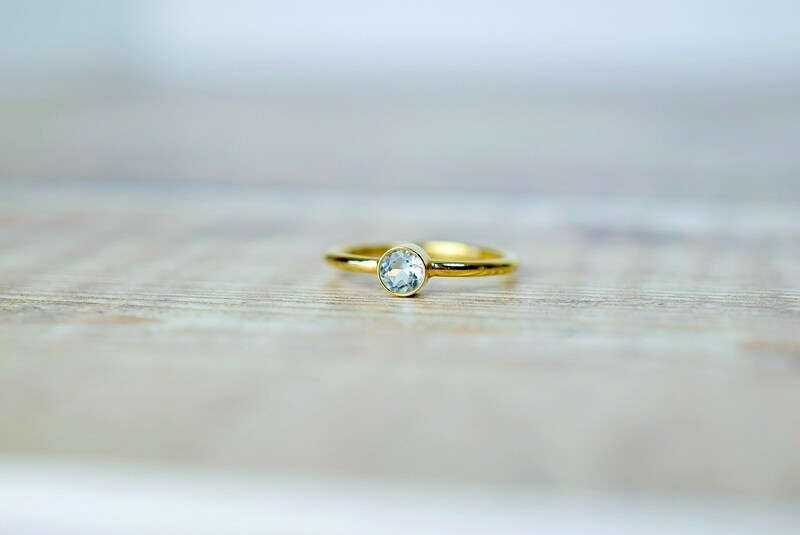 Swiss Blue Topaz and London Blue Topaz rings also available.